The Toronto summer concert lineup got a little blast of sunshine today with the announcement that last year's successful Field Trip Festival will be returning for another go-round. 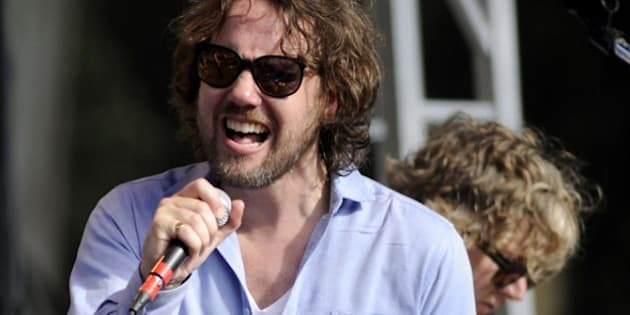 Broken Social Scene will reunite again this year (does it still count as a reunion if they do it every year?) ifor the Field Trip Music and Arts Festival slated for the Garrison Grounds at Fort York June 7-8. Interpol, The Kills, Chvrches, Fucked Up, A Tribe Called Red, Shad, Austra and the Constantines who announced their reunion last week. Hydra -- a special project featuring Feist, Snowblink and AroarA -- are also slated along with Gord Downie and The Sadies and Kevin Drew. Tickets go on sale Friday (Feb. 21) at 10 a.m. Eastern for the festival which will feature two separate stages. Last year's Field Trip festival featured Broken Social Scene, Feist, Stars, Bloc Party and Hayden among others.